EUROPE’S elite are back in action this week as we enter the second half of the 2017/18 UEFA Champions League group stage. Tottenham Hotspur will host Real Madrid at Wembley in the standout fixture of the round, but there are also heavyweight clashes in Rome, Naples and Manchester to keep an eye on. This week’s Champions League odds come courtesy of Sportsbet.com.au, where new customers can pocket up to $501 in bonus bets just for signing up and having a flutter. These two played out a blinder when they met in round three, with Edins Dzeko and Hazard both scoring braces in a six-goal draw at Stamford Bridge. Roma have picked up three consecutive 1-0 wins in Serie A since then, while Chelsea have just about done enough to stay in the hunt for the English Premier League title. Strikers on both sides have dried up in recent weeks, so it is difficult to tip anything but a draw. United have endured some tough times against Portuguese opposition in Europe, but they bucked that trend with a 1-0 win away at the Estadio da Luz in the last round. A vital win over Tottenham in the EPL at the weekend will have given Jose Mourinho’s men a big boost of confidence, and they should have no problems at the Theatre of Dreams against an ordinary Benfica side that sits bottom of the group. Are these the two best teams in Europe right now? Napoli have bolted out of the gates in Serie A with 10 wins and a draw in 11 outings, while Man City are five points clear in the EPL after nine wins from 10. Early goals to Raheem Sterling and Gabriel Jesus gave the Citizens the points when these sides met at Eastlands earlier this month, and it could be a similar story at the Stadio San Paolo. Are Spurs any good without Harry Kane? The England striker was absent for the recent 1-0 defeat away to Man United in the EPL, and there is no certainty he will get up to face the European champions. Zinedine Zidane and Real Madrid are under serious scrutiny following a shock loss to Girona in La Liga, but Cristiano Ronaldo has five goals in three CL starts this season and will be eager to blow off some steam at Wembley. 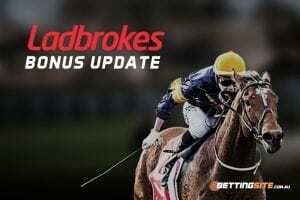 Online bookmaker Ladbrokes.com.au is running a number of online betting specials for this week’s Champions League markets, including Footy Freaks soccer doubles for every match. There is also a Champions League Mega Multi special featuring Man United, Real Madrid and Barcelona all to win at $4 boosted odds. Ladbrokes updates its promotions day by day, so sign up and log in today to check out the latest offers.